Thank you to all those who made comments or linked into the January Vintage Button Challenge. If you missed January’s Challenge check it out here – the link is not closed so please feel free to add your post at any time. Congrats to Allana, who won the vintage button gift tags!!! 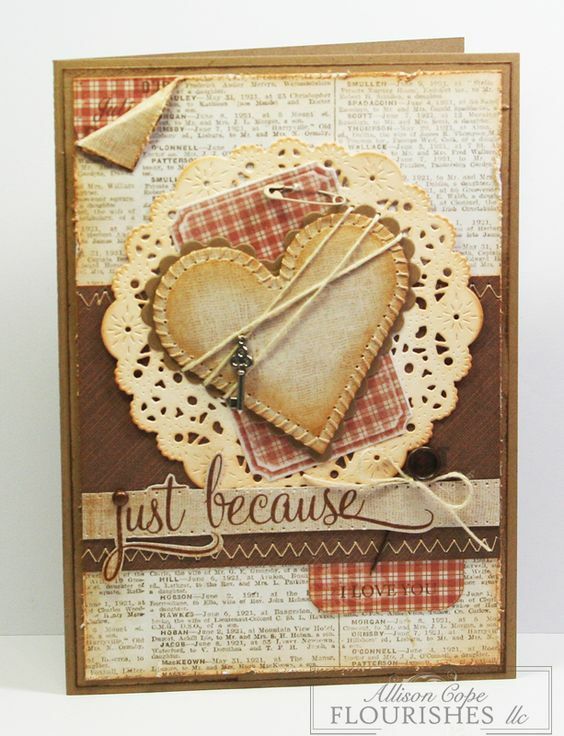 February’s challenge will be to make any occasion greeting card using Vintage or Vintage looking images. The images can be new or “old”, pages from books, vintage sheet music, old vintage valentine cards or free downloadable vintage images. One of my favorite’s is Graphics Fairy -if you subscribe to their newsletter you get one new free vintage image every Friday but the website has tons of free printables, be sure to go check them out. On the last Monday in February (26th) I will do a link party where you can share your creation – Or , if you prefer you can email a picture to me and I will post it for you. 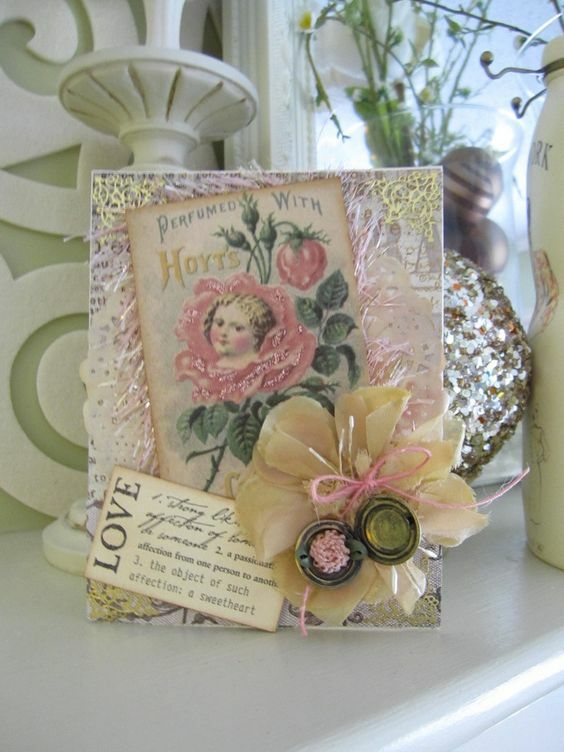 Here are a few pictures of handmade cards using Vintage images, I hope these help to get the creative ideas flowing…. 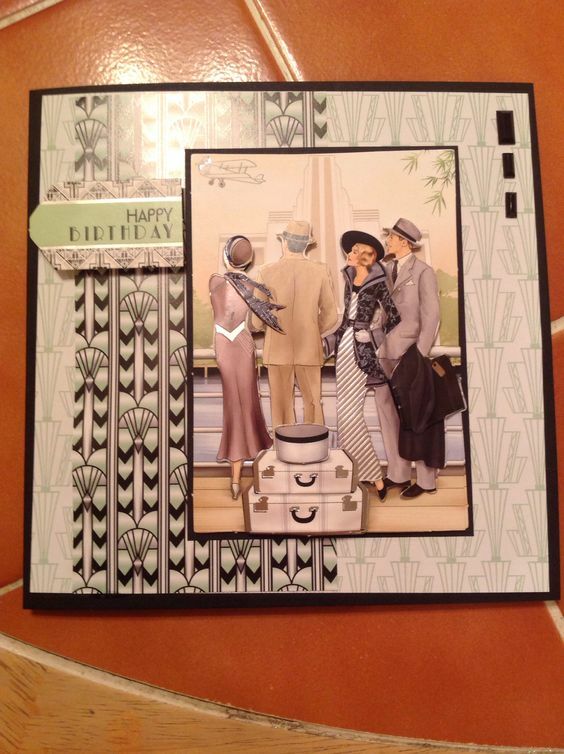 There are endless ideas for greeting cards, I am looking forward to seeing what you create. If you would like a chance to win a handmade vintage image greeting card you just need to follow me on any two of my social media accounts; for example subscribe to this blog and follow me on FaceBook, or subscribe to this blog and follow me on Pinterest or Instagram or any combination you want. Wherever you follow be sure to leave me a comment so I know to include you in the giveaway draw. This entry was posted in challenge, Decorate, DIY, Make, vintage and tagged card, challenge, craft, creative, DIY, fun, greeting, images, monthly, occasion, repurpose, repurposed, thrifted, vintage. Bookmark the permalink. The work that is put into some of those cards is amazing. Lovely. The cards are lovely. Will have to put my thinking cap on as I enjoy snail mail and this definitely fits into that!